You can always rely on Floor Gallery to come up with kitchen designs that combine smart ergonomics, offers modern luxury and a unique appealing element that sets them apart from the unexciting kitchen space. Whether your ideal kitchen is a traditional kitchen or a modern kitchen, Floor Gallery has the right designers and expert installers to turn your dream into reality at an affordable cost. With FUN, it is no different as this modern-day kitchen with a pinch of industrialized panache cutleries with its unassuming textural contrast and class. At no point does the kitchen space feel far too apathetic and refined. It is not about sparkling kitchen counters and polished kitchen finishes alone. 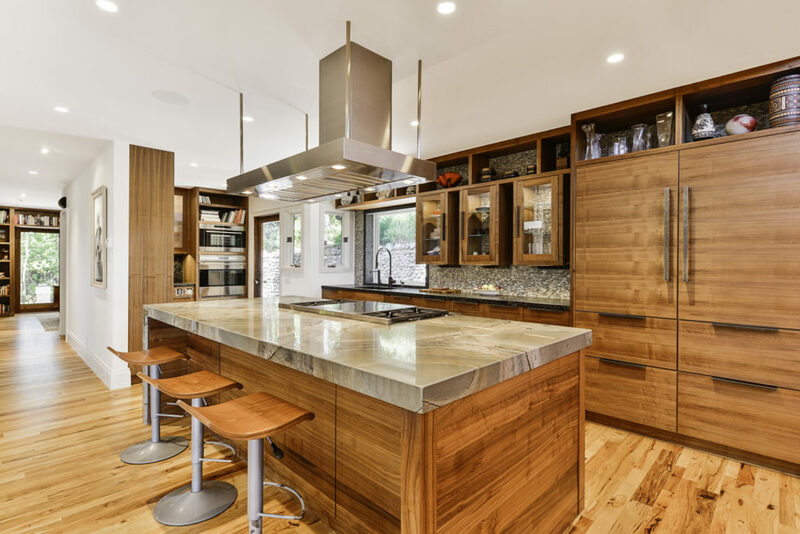 There is a healthy bout of wooden kitchen finishes throughout FUN and you can use this element to visually link the kitchen with open plan living. Kitchen cabinets, shelving, and kitchen island in the kitchen give you a chance to echo the coy wooden kitchen finishes all through your open living area, painting a picture of curated stylishness. Depending on the floor design plan of your home and the overall feel and look you are desiring for, minor modifications and color alterations can be made in your selected configuration. Another prominent feature of these kitchens is the design of the handgrips of the kitchen cabinet doors. They contribute to the kitchen’s trademark mien without going overboard. Trifling and yet alluring. Floor gallery is a kitchen remodeling company that promises to make your life a whole lot stress-free when it comes to home remodeling.